I’ve really been anxious to wear this shirt, but I haven’t been able to because I didn’t have any shoes to wear. Crazy, huh? Well, I came across these Oxfords and purchased them immediately. Now, I had some shoes to wear with this shirt. How exciting?! I didn’t want to wear tan or khaki pants. So, I opted for navy blue. I think it’s a great contrast against the white and tan striped shirt. I absolutely love Essie nail polish! It is by far the best brand of polish I’ve used, and I am no professional by any means, hence the shoddy job I did. Essie nail polish consistency is really thick, and two coats will always do the job. I chose Aruba Blue because blue is my favorite color. The moment I saw it, I fell in love. I was a bit hesitant because I wasn’t sure how it would look against my skin complexion, but I was pleased with how it turned out. 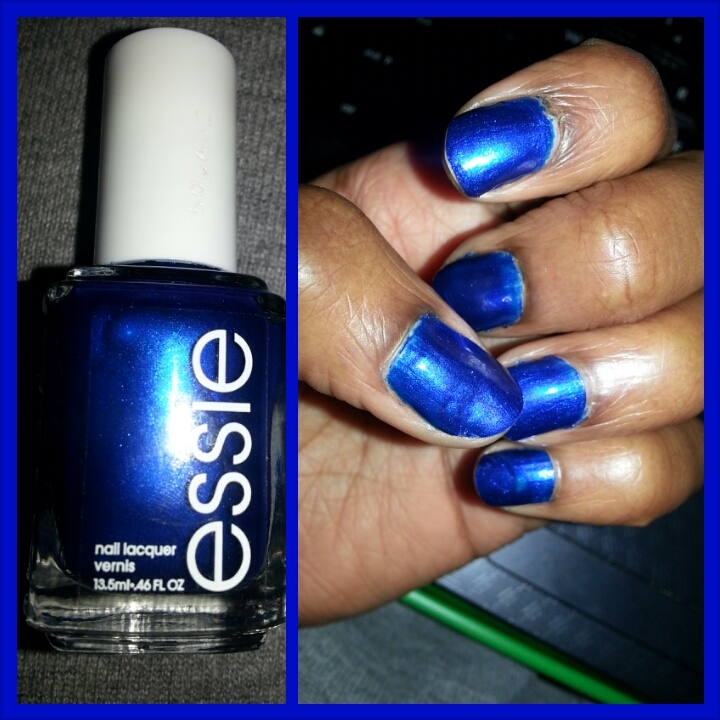 Aruba Blue is a very pigmented color, as are all of the Essie nail polishes that I’ve tried. This brand is on the more expensive side, but it’s definitely worth it. It’s long-lasting, the colors turn out amazing, and there is such a variety to choose from. It’s obvious that I’d recommend this brand, but I’d also recommend trying this color. I believe that this shade of blue can be worn year-round. So, give it a shot; I think you may fall in love with it, too.